We’re excited to announce a fantastic new resource for our customers. 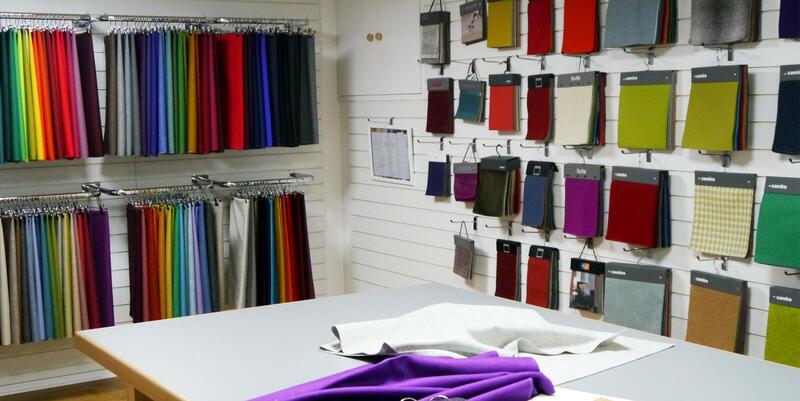 At our UK headquarters in Wiltshire, we have created a fabrics and finishes workshop alongside our existing showroom. We know it’s so difficult to make decisions about finishes using small samples. So we have brought together a large range of fabrics from different suppliers, as well as carpets, fascias, finishes amd plastics into one space. The workshop is a valuable resource for our customers, who can then pull together a palette of finishes which they know will look fantastic in their venue. We love our customers to come to our showroom, try out the chairs, see our impressive manufacturing facility and meet the team. We’re confident this gives them one more reason to come! Our showroom is at our headquarters in Westbury in a beautiful part of Wiltshire – and just over an hour out of London on the train. To arrange a visit, please contact us and speak to one of our sales team.